If you’ve ordered yourself an iPhone XS then you might want to consider picking up this tempered glass screen protector 3-pack for just $7.99. The new iPhone XS is not a cheap phone at all. Starting at $999 just like last year, it’s best to take all the precautions necessary to make sure that your prized possession remains as safe as possible while you’re out and about with it. Sure, you can buy a case for it, but what about the screen? 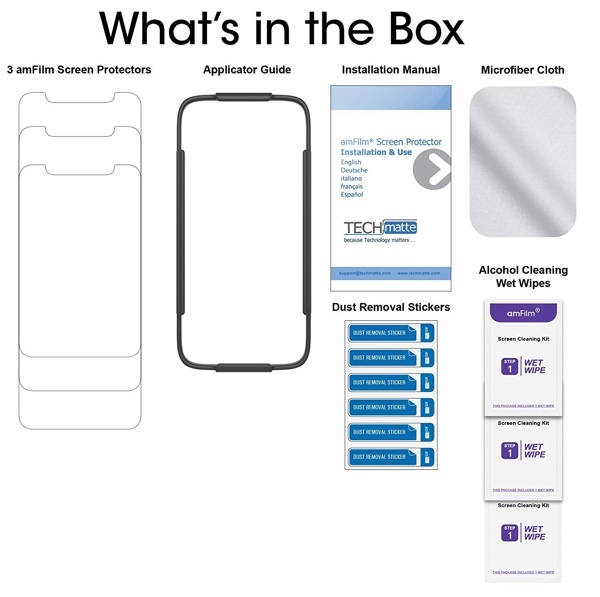 Well, if you’ve been considering some sort of protection on that end then it’s obvious that you’re going to buy a tempered glass screen protector for your iPhone XS. 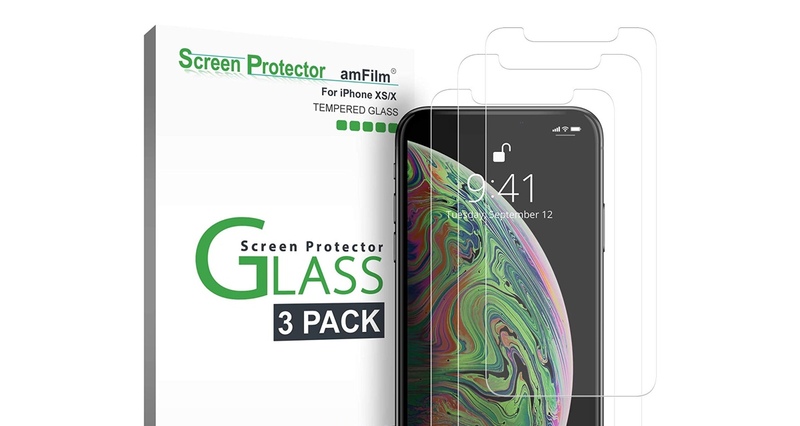 Luckily for everyone, amFilm has discounted its brand new tempered glass screen protector down to just $7.99 from $14.99. That’s a massive discount and an insanely good deal because this is a 3-pack. So, why do you need a 3-pack? Because in case you mess up applying the screen protector for the first time, you can always have two extra attempts with you. But that’s not all – if you manage to break your screen protector, you’ll have a backup ready for you immediately, too. This screen protector is pretty thin at just 0.3mm, has 99.9% transparency, and features 9H hardness which means that this bad boy is pretty durable and will easily withstand a bunch of keys or even a few coins. All of this can be yours for a low price of just $7.99 if you head over to the link below. The original price is $14.99, and there’s no telling when the price will return to its original self. So do yourself a favor and pick one up before it’s too late.